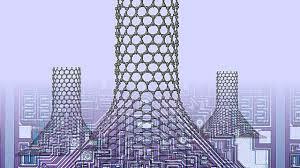 The report forecast the global carbon nanotube market on the basis of type, method, and application. Study also focus on recent developments such as new product launches, investments & expansions, and partnership/joint in carbon nanotubes industry during forecast period. Dallas, United States - March 21, 2019 /MarketersMedia/ — Adroit Market Research launched a study titled, “Global Carbon Nanotubes Market Size 2017 By Product, Manufacturing Method, Application, End-Use, By Region and Forecast 2018 to 2025”. The report includes the global carbon nanotubes (CNT) market in terms of revenue and volume for a period in between 2015 to 2025, where 2015 to 2017 indicate the actual annual consumption of CNT with forecast between 2018 and 2025. The report covers the global carbon nanotubes market demand and the global carbon nanotube market shares for the specified time period. By 2025, the global carbon nanotubes market size is estimated to reach USD 2.86 billion. Increasing demand for coatings and composites in the plastics, construction, automotive, batteries, energy markets, aerospace, and metals is expected to drive global carbon nanotubes industry over the coming years. Apart from automotive and electrical & electronics, the energy sector is expected to be promising for carbon nanotubes manufacturers. Electrodes based on carbon nanotubes are ten times thinner and offers nearly 100 times higher conductivity as compared to amorphous carbon electrodes. Growing demand for lithium-ion batteries with higher conductivity in electric vehicles is expected to open new avenues for carbon nanotube market growth over the coming years. Global aerospace & defense industry market size was more than USD 2 trillion in 2017. Strong passenger travel demand, increasing military expenditure, and increasing commercial aircraft production is expected to drive global aerospace & defense industry over the projected period. Capability and superior properties to enable the designing of lightweight parts is expected to increase market concentration over the coming years. CNT’s are extensively used in the external surface of aircraft to protect them from damage. It also finds application in the rudder, wings, fuselage, and other components. Moreover, heat fluxes without burning, and high temperature resist makes CNT best suitable for high-velocity missiles. The development of the global A&D sector is anticipated to drive the global carbon nanotube (CNT) market growth over the forecast period. Asia Pacific accounted for more than 45% of the global carbon nanotubes market share in 2017. Growing automotive and construction industry in India, China, Japan, and South Korea is expected to offer a lucrative opportunity for CNT manufacturers over the coming years. Growing economic development, increasing purchasing power, and high penetration of consumer electronics in Asia Pacific are expected to increase the adoption of carbon nanotubes over the projected period. Nanocyl SA, SHOWA DENKO K.K., Cnano Technology, Arry International Group Limited, Arkema, Carbon Solutions, Inc., CNT Co., Ltd., Cheap Tubes, OCSiAl, Hanwha Chemical Corporation, Nano-C, and Continental Carbon Company are key manufacturers operating in global carbon nanotubes market. The global carbon nanotubes market is highly consolidated in nature as leading manufacturers accounted for more than 60% of overall market share in 2017. In addition, a large number of small manufacturers are operating in India, China, and Brazil. Manufacturers operating in this industry are adopting M&A, facility expansion, and new product development strategies to strengthen their distribution network and gain market share. For instance, in 2019, SABIC, a Saudi based manufacturing company engaged in chemicals, fertilizers, petrochemicals, and industrial polymers, acquired Black Diamond Structures, a company specialized in producing carbon nanotubes. Adding BDS product portfolio such as MOLECULAR REBAR in SABIC’s specialty business is expected to open new avenues beyond the energy storage industry. In addition, in February 2017, LG Chem started operation of a new carbon nanotube plant in South Korea with an annual production capacity of 400 tons.